There is no way to eliminate existing bunions except to have them surgically removed. There are nonsurgical measures you can take to alleviate the pain and prevent your bunions from increasing in severity, and for that reason it's important to see your doctor before they become a serious problem. The more extensive your bunions are, the less effective nonsurgical treatments are. On the other hand, most bunions can be dealt with without surgery through wearing roomier, low-heel shoes, padding and taping your feet, using medications for pain control, going to physical therapy to relieve inflammation and wearing orthotics in your shoes to correct mechanical problems. Bunions that are not causing pain generally aren't appropriate for surgery. Roomier shoes. You should seek out shoes that conform to the shape of your feet as much as possible and provide plenty of room in the toe box, ensuring that your toes are not pinched or squeezed. You should make sure that, while standing, there is a half inch of space for your longest toe at the end of each shoe. Make sure the ball of your foot fits comfortably in the widest part of the shoe. Feet normally swell during the course of the day, so shop for shoes at the end of the day, when your feet are at their largest. Don't be vain about your shoe size, sizes vary by brand, so concentrate on making certain your shoes are comfortable. Remember that your two feet are very likely to be different sizes and fit your shoe size to the larger foot. Low-heel shoes. High heels shift all your body weight onto your toes, increasing the pressure on your toes and their joints tremendously. Instead, wear shoes with low (less than two inches) or flat heels that fit your foot comfortably. Padding and Taping. Padding the bunion can minimize pain and allow you to walk more normally. Specially designed pads for this are available at most drugstores. Taping your foot can reduce stress and pain in it by helping it stay in a more normal position. Medication. Anti-inflammatory drugs such as aspirin and ibuprofen can help deal with pain and inflammation caused by your bunion. Cortisone injections may be prescribed for the same purpose. If your bunion is a consequence of arthritis in the MTP joint, your physician may prescribe medications for that. Physical Therapy. Ultrasound treatments and whirlpool baths can help reduce pain and inflammation in bunions and related tissues. Orthotics are shoe inserts that can help correct mechanical foot-motion problems to reduce pain and prevent worsening of your bunion. Other measures. Icing and elevating your foot when your bunion is painful may help. 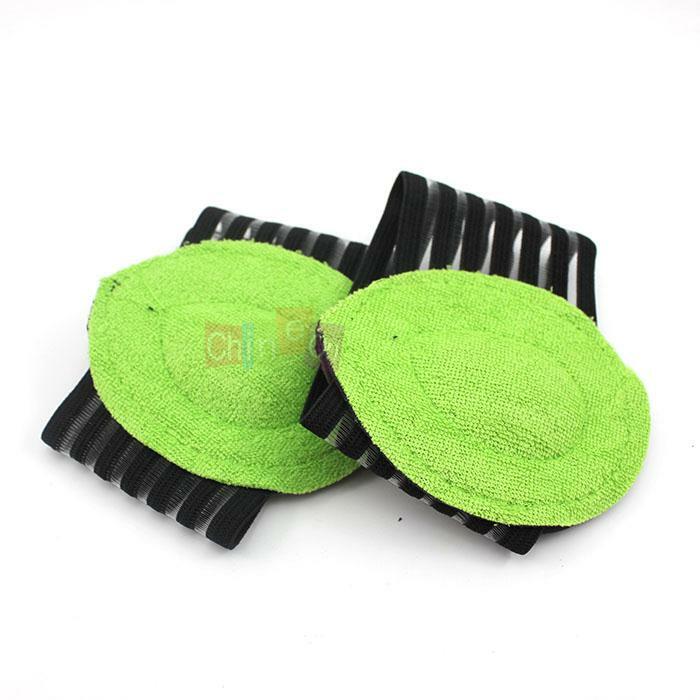 Having your shoes stretched at a shoe repair shop may help also. Arch pain can be caused by several different factors. Tight calf muscles combined with repeated arch collapse on weight bearing, is the most common cause of arch pain.This can then often lead to a condition called plantar fasciitis, which is an inflammation of the connective tissue that connects the heel with the ball of the foot. When the connective tissue in the bottom of the feet gets stretched out too much, plantar fasciitis can result. The inflammation resulting from plantar fasciitis can result in arch pain. Arch pain caused by plantar fasciitis is often worst after long periods of rest, like when you first wake up in the morning. This is because the plantar fascia tightens when you are off your feet. 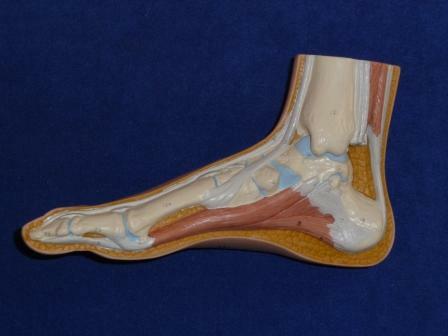 When you wake up in the morning and start walking around, the plantar fascia stretches out again. Flat feet don't usually cause problems, but they can put a strain on your muscles and ligaments (ligaments link two bones together at a joint). This may cause pain in your legs when you walk. If you have flat feet, you may experience pain in any of the following areas, the inside of your ankle, the arch of your foot, the outer side of your foot, the calf, the knee, hip or back, Some people with flat feet find that their weight is distributed unevenly, particularly if their foot rolls inwards too much (overpronates). If your foot overpronates, your shoes are likely to wear out quickly. Overpronation can also damage your ankle joint and Achilles tendon (the large tendon at the back of your ankle). See your GP if you or your child has flat feet and your feet are painful, even when wearing supportive, well-fitting shoes, shoes wear out very quickly, feet appear to be getting flatter, feet are weak, numb or stiff, Your GP may refer you to a podiatrist (foot specialist). Stretching your calf and Achilles tendon may also help as a tight Achilles can make your foot overpronate. To stretch your calf and Achilles tendon, step forwards with your left leg and bend it, with your right leg straight and both feet pointing forwards. Push your right heel into the ground while keeping your right leg straight; you should feel the stretch at the back of your right leg, below the knee. Hold the stretch for 15 to 30 seconds and repeat with the opposite leg. Repeat the stretch two to four times on each leg, and repeat the overall exercise three to four times a day.